"I get it now. It's hard to let someone find you in all the dark and twisty places inside, but eventually, you have to hope that they do, because that's the beginning of everything." I graduated with a BA in psychology, and I've always found schizophrenia fascinating ever since I watched a documentary about it in the eleventh grade. 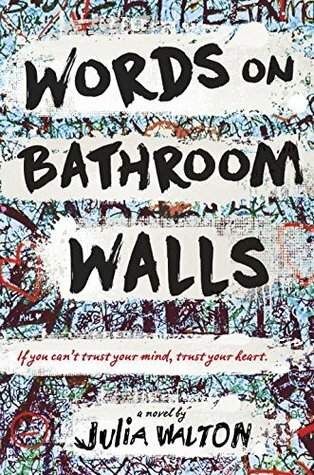 Therefore, I was thrilled when Random House sent me a copy of Words on Bathroom Walls. I was expecting an intriguing look into the mind of someone dealing with the disease, and although I did get that to some extent, I wasn't overly impressed by Walton's debut. Walton's portrayal of Catholicism (and even Christianity in general) really ticked me off. I'll admit that I am Catholic, but honestly, that's not why I was upset by the insults Walton hurls at my faith. I'm upset because unlike most YA authors, Walton blatantly mocks a religion without apology with no regard for who her audience might be. From ridiculing Catholic traditions to talking about sexual acts inside of a church, Walton doesn't care about being irreverent. Sure, I get it: Adam is going through a rough time and has little to no faith in religion. However, Walton's disparaging tone towards Catholicism goes much further than Adam's distaste and left me with a sour taste in my mouth. I honestly considered setting this book down purely because Walton shows such flagrant disregard for her readers who are potentially Catholic or any other kind of Christian. Additionally, Adam is a jerk. Yes, he's suffering from the severe effects of a mental disease (and the side effects of medications), but a jerk is a jerk. He constantly makes rude comments about people, even those he loves. Everything is all about him, all the time. If he doesn't agree with someone else's opinion, then they are dumb, no questions asked. Sure, he bakes some cookies for people and occasionally doesn't act like totally insensitive, but overall, he's a pessimistic teenager who barely considers the rest of the world outside of his disease and opinions. The plot really wasn't that good. Trust me when I say that talking about it won't really spoil anything. Basically, Adam gets sick, starts taking drugs and visiting a therapist, meets a girl and falls in love, then gets off the drug and moves on. There's no big reveal or anything. 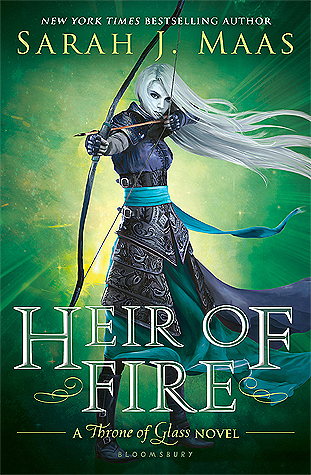 It's not that I wanted one, but with all of the other problems I had with this book, I expected a plot line that surprised me at least a little. It was really predictable, with the classic jock bully and self-disparaging comments to boot. The only reason I didn't give this book one star was probably the romance. You guys know I'm such a sucker for a good love story, and Walton does weave one somewhere beneath Adam's ridiculous behavior and snarky comments. Maya seems to be a genuinely good person, and although I don't really think Adam deserves her, I do like how she accepted him for the person he is, not the person he wants to be. Basically, this book just wasn't for me. I hate novels that are unapologetically offensive, and the main character had very few redeeming qualities. No thanks.